﻿While we would love you to just stay with us at Neita's Nest Bed and Breakfast in Kingston for the duration of your visit to Jamaica, we do know that discovering all that our beautiful country has to offer is what travel is about. So, we have put together a list of recommended activities in and around Kingston. 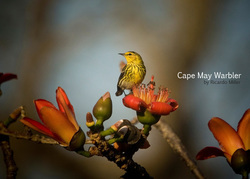 And, as you venture further afield to other cities and towns to take in the flora, fauna, sights and sounds of our island, we have hand-picked some choice villas and bed and breakfast accommodations just for you. Kingston is a city, a parish and a brand. Make sure Kingston is on your bucket list when you visit Jamaica. Visit the National Gallery, Bank of Jamaica's Coin & Notes Museum, and Liberty Hall - the Marcus Garvey Museum. Take in the theatre, seasonal cultural events and current art shows at various galleries. Ask us about Boone Hall Oasis + Sunday Brunch by the river. You won't want to miss Hellshire or Fort Clarence Beach for fish and festival. A trip into Kingston is not complete without touring Historic Port Royal + Gloria's for lunch/dinner. And of course, music aficionados will delight in the Bob Marley Museum. Our premier educational institution University of the West Indies, Mona Campus is worth the trip for all its historic value and beauty. Head to the Blue Mountains and picnic at Holywell Park or lunch/dine at EITS Cafe located just one mile below Newcastle. Cafe Blue and the adjacent Crystal Edge restaurant in Irish Town team up well with their sweet and savoury offerings. Hike to the Peak - all 7402 feet! Be guided, though. 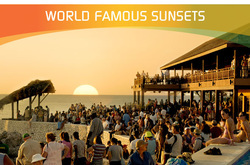 We recommend Sun Venture Tours. For a bit of serenity in the city, don't miss The Royal Hope and Castleton Botanical Gardens, Emancipation Park and Rockfort Mineral Bath. And when you're ready for a great dining experience, the Courtyard at the Marketplace offers a choice of international restaurants, all in one place. Stay close to home and lunch or dine at the Majestic Sushi Bar & Grill in Stony Hill. Looking for something special to wear that's perfect for any occasion, or no special occasion at all? Check out Sandra Kennedy Designs 37 Hopefield Avenue or contact Sandra directly. 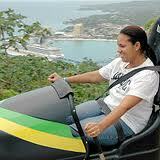 Specialty tours by Jamaica Cultural Enterprise can be arranged by Neita's Nest. If you have a serious interest in birding around the island, then Arrowhead Birding Tours is your first point of contact. And after you have toured the city, you will be happy with the wide range of mementos, keepsakes and gifts when you check out the Craft Cottage in the Village Plaza. Devon House Bakery for our favourite, their fish patty. Why live like a tourist when you can live with Jamaicans? Choose Neita's Nest for bed and breakfast, of course, and we will share cultural and historic insights, and help you plan your tours. Let us plan a spa day or just one treatment for you. The Tree House is the perfect perch for pampering. Then, invite friends and business associates to join you here for lunch, high tea, cocktails or dinner. Just let us know how many, and we will put on the spread right here for you. Kingston, the NGJ is home of Edna Manley Galleries and the history of Jamaican art. This photo was taken by travel writer April Thompson while on the inaugural Barrington Watson Retrospective Tour (2012) organized by Jamaica Cultural Enterprises. Enriching! The Gallery is open Tuesdays to Saturdays, and on the last Sunday of each month when admission and tours are free. Photo taken by Ricardo Miller Arrowhead Birding Tours, Jamaica. 19th-century residence is now a daily mecca for Jamaicans and visitors alike. Daytime tours shopping and eateries are as much a pull as the nightlife it offers for the young and the mature. Apartment 10 at Chrissans Beach Resort in Ocho Rios is our recommendation. A Nature Attraction - There is more to YS Falls than meets the eye. Click here to see why.